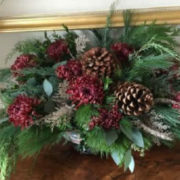 You are cordially invited by the National Society of The Colonial Dames of America in the State of Connecticut to a Holiday Floral Workshop at the Webb Barn led by renowned floral designer Ruth Loiseau. 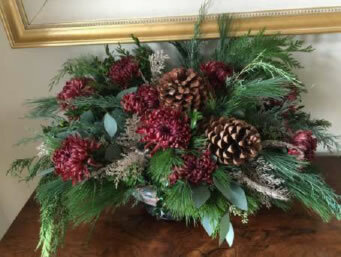 Guided by Ruth’s skillful expertise, attendees will create their own fresh holiday floral arrangements that will last throughout the holiday season. Please bring your own pruning shears, scissors and gloves. The number of participants is limited, so please sign up early. After Nov. 23rd this workshop will be opened to a wider Museum audience.